Have you ever had the experience of getting something new and unique, then suddenly a friend gets the same new and not so unique thing just by coincidence? 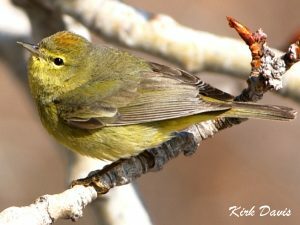 Well, male Orange-crowned Warblers understands your pain! The males of this songbird species can produce many song variations and just when one thinks it has the sweetest tune, one or more of the neighbouring males will learn and mimic the tune while also signing his own. This episode aired on Saturday September 10th, 2016.